*국내 전로에서는 단상/ 3상3선식까지만 Ior값이 유효합니다. ・Safety by non-contact sensor, not touching live part directly (prevention of electric shock, short-circuit, etc.). 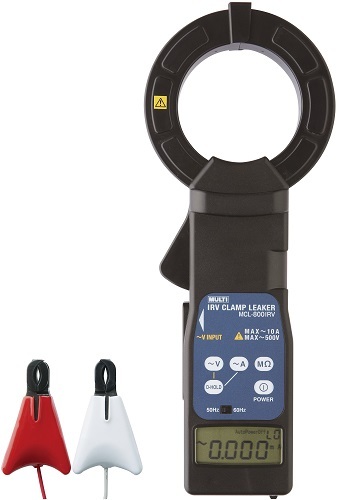 ・Easy to carry and operate, clamp CT + display part integrated type. ・Measurable line current + leakage current + resistive leakage current by one unit. ・Available direct voltage input at live part as ordinary.